I had been hiking for a number of years and after a particularly difficult trip with ‘traditional’ backpacking gear I decided that enough was enough and that and I needed to reduce the weight of my gear. 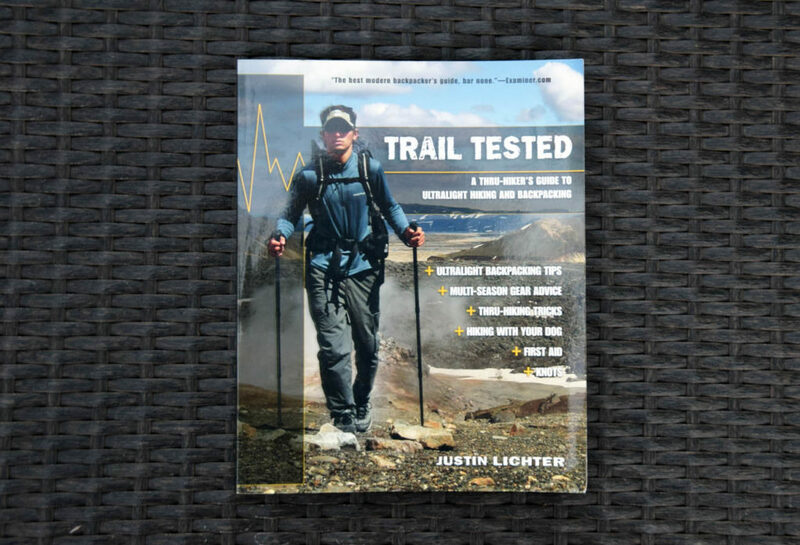 After searching the internet on possible books to help me out my very first purchase was Trail Tested (A Thru-hikers Guide to Ultralight Hiking and Backpacking) by Justin Lichter (Trauma). As usual when purchasing speciality books my only real option was Amazon. The author of this Book is Justin Lichter (Trauma), is well know in US long distance hiking circles and along with a friend, Shawn (Pepper) Forry, was the first person to succesfully thru-hike the Pacific Crest Trail during winter time (2015). In other words Justin knows what he is talking about regarding long distance and ultralight hiking. As with many books produced in the USA there is a focus on hiking as it relates to North America but Justin has extensive experience in hiking worldwide so while there is material that relates to US hiking such as Bear canisters and mention of poison Ivy its not overwhelming and doesn’t detract from the rest of the book. This book is unique in that is also discusses hiking with dogs and while this option is limited in Australia (not allowed in Australian National Parks) there is some good material for those that take their dogs hiking outside of National Parks. While this book is focused on ultralight hiking it does so without forcing it down your throat and deals with the concept as a part of the overall book rather than treating it as a seperate issue. This book aims to provide useful tips and therby hopefully reducing the time, and errors, in the learning process for newer hikers. However on the negative side I found that it was a bit dry in its delivery, whereas I prefer a more free flowing style of writing (first world problem I know). Other similar books will provide a range of amusing anecdotes to provide a bit of variety and to keep the reader engaged and while I realise that this is a stylistic preference on my part, there will certainly be people out there that will like the factual no nonsense delivery style of this book. For me I found that this wasn’t a book that I could sit down and read all in one go but instead had to break it up in digestible chunks over a number of nights. Having said that I found this material is very useful and delivered in a considered factual manner and given that I bought it specifically to provide the factual information I found it very useful. I’m glad I purchased this book and based on my experience would recommend it to those hikers who have at least a basic understanding hiking principles. A good book that provides very relevant information on ultralight hiking and backpacking all in well set out sections. Best aimed at hiker with some background in hiking looking to gear up. The purchase this book go to The Book Depository or Amazon. Please note that our affiliations do not influence, in any way, the independence of our reviews. If we don’t like something, you’ll be the first to know!